Yet another beautiful, sunny day! We just keep enjoying. More about „calm“ later. 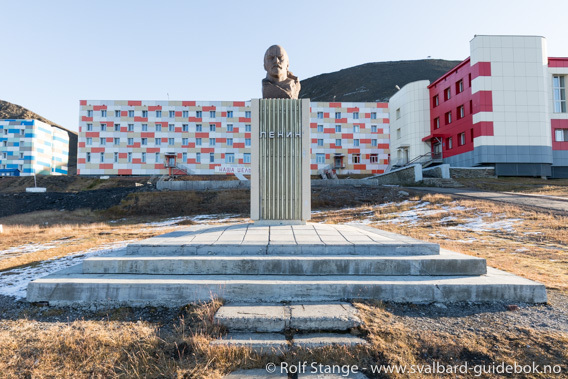 Some of us have a bit of a slow start into the day, but after breakfast we take off to explore Barentsburg. With some minor adjustments of the route, we even manage to spend almost the whole morning in sunshine! A very interesting visit and a strong visual contrast to our arctic experiences so far. 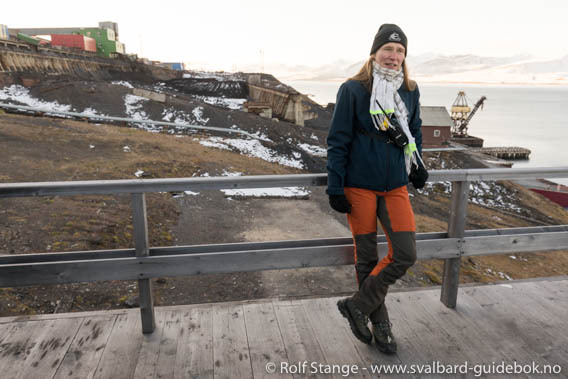 Michelle van Dijk in Barentsburg, sharing her knowledge of the Dutch history of the place. Lenin some 12 hours later and in different light (compare to yesterday’s blog). 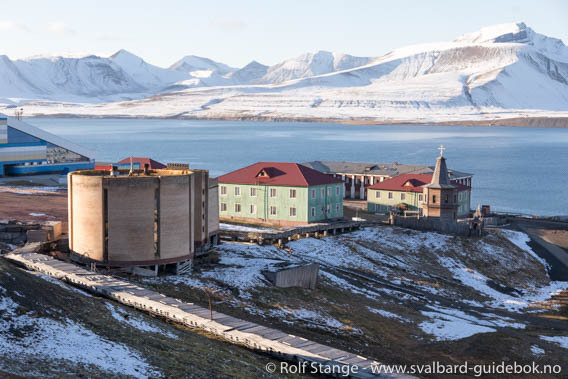 Later we set course across Isfjord to say goodbye and farewell to Spitsbergen’s beautiful nature in Ymerbukta, but things are changing and so are our plans. The wind is picking up, the next days are supposed to bring pretty stormy weather and we get a first taste of it today. Nothing serious so far, but there is a risk that we may not be able to go alongside in Longyearbyen in the evening if we get there too late so we change course or Adventfjorden. Well, we have enjoyed so much of Spitsbergen’s beauty in the last couple of days that we can really relax and look forward to civilisation. 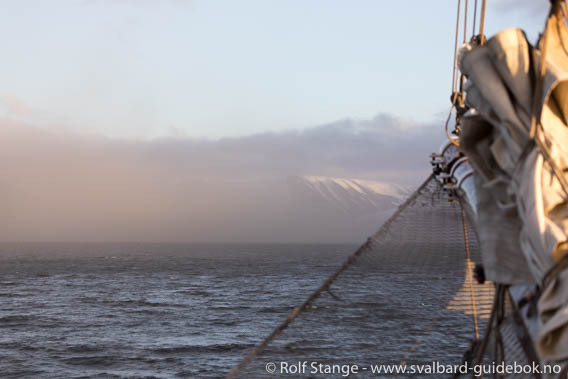 Continued later – indeed, the wind had picked up considerably as we sailed into Adventfjord and going alongside was a challenge. We were all happy once the last mile was really done! 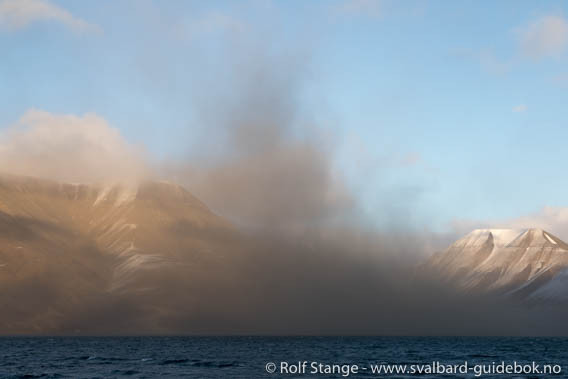 Sailing into a dust storm while entering Adventfjord. A stunningly beautiful voyage is coming to an end – unforgettable! Big thanks to everybody here, Captain Kevin and his crew on board SV Antigua, my colleagues Michelle van Dijk and Alexander Lembke and of course all our fellow polar travellers who contributed to the good experience and spirits on board and on the tundra! 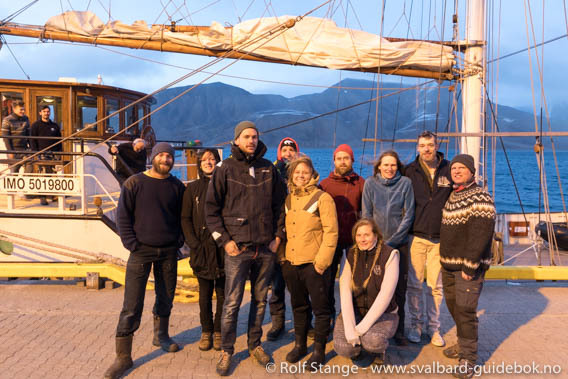 Crew of SV Antigua in Longyearbyen.